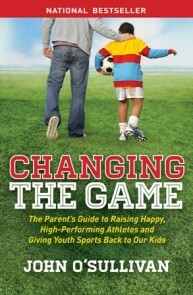 One of the questions I am often asked is “How do I change my kid’s attitude toward sports? He just does not seem into it anymore, and he is not putting any effort in.” This is a situation that can be very confusing and discouraging for both children and parents, as well as cause stress in the parent child relationship. If you find yourself in such a situation, do not despair. There is hope. Famed Stanford researcher Dr. Carol Dweck has found that when it comes to performance, there are two types of ‘mindsets’ as she calls them: a fixed mindset and a growth mindset. Understanding the difference is crucial to helping your child exert effort, and thus perform his best in sports. A person with a fixed mindset usually judges situations in terms of how they reflect upon her ability, which in her mind is permanent. In other words, if she does poorly on a test, she is not smart. If she plays poorly in a game, she is not a good player. As a result, fixed mindset individuals rarely seek out opportunities to learn or challenge themselves, for failure to them is vindication of their lack of self belief. In their mind, risk and effort are likely to expose their weaknesses and lack of ability. They instead choose to seek easy achievement activities, fear failure, shun effort, and are constantly finding excuses to not perform their best. A growth mindset individual, on the other hand, sees her abilities as capable of being cultivated. She recognizes that challenging herself is an exciting part of learning, and that failure is a necessary component of success. Her attitude towards a poor result on a test is “Next time I just need to study harder.” When confronted with a difficult task, she embraces the challenge. She is not afraid to fail, pick herself up, and try again. In Dweck’s words, “a belief that your qualities are carved in stone (fixed mindset) leads to a host of thoughts and actions, and a belief that your qualities can be cultivated (growth mindset) leads to a host of different thoughts and actions, taking you down an entirely different road.” A fixed mindset individual will not put forth effort, for he believes that if he were smart (or talented) he would not need to try hard. Effort is a bad thing. For a growth mindset individual, effort is the secret sauce that makes you talented! Effort is everything! If your young athlete has stopped putting effort into his sports, you may need to figure out whether he has taken on a fixed mindset when it comes to sports. Does he view failure as evidence that he is not good? Does he fear failure, so he has given up trying, lest he give his best and fail? If so, he needs a mindset adjustment! He needs to shift his beliefs, no matter how strongly they are held. You can help! In a future piece, we will discuss specific steps to help kids adjust their sports mindset from a fixed one to a growth one. 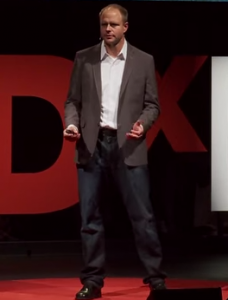 If you can’t wait, below is a link to Dweck’s book Mindset: The New Psychology of Success. It is a great read, and I highly recommend it. If you are waiting for my next piece, in the meantime, review the 7 C’s here (Common Sense, Control, Communication, Caring, Competence, and Confidence). They are the key components of cultivating a growth mindset, and helping your kids put some effort back into their sports and activities. Part II coming soon.